Make 2017 the safest year on your farm yet by setting goals to get more training and education for yourself and your employees. ALLENTOWN, Pa. — Agriculture has the dubious distinction of being one of the most dangerous occupations in the United States. Farmers, and others working in agriculture, need to be aware of, promote and practice safety measures on a year-round basis. 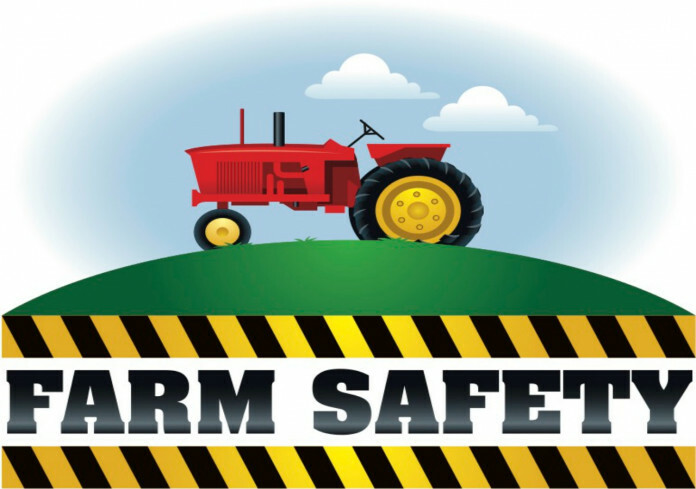 Take advantage of farm safety training when it’s offered by area equipment dealerships, cooperative extensions or farm organizations. Additionally, it is advisable to simply slow down, assess any possible safety challenges, and apply a healthy dose of common sense, maturity and a sense of responsibility to any safety situation. Here are 15 safety reminders that all farms, farmers and farm families should observe. You may want to add your own safety reminders to this list. Farmers need to do daily safety and maintenance checks on all tractors used to perform farm work. Farm tractors have one seat. This means one operator and no extra riders on fenders, hitches or in front-end loader buckets. All farm tractors and any attached or trailing farm equipment must display the triangular, orange Slow Moving Vehicle (SMV) emblem. All operators of newer tractors equipped with a 2-point or 4-point ROPS (Rollover Protective Structure), must also wear the seat belt provided in order to be protected in a backward or sideways flip. Be cautious around all livestock that have given birth. Be aware of potentially deadly silo gas when chopping and placing corn silage in an upright silo. Be aware of a potentially deadly outcome when working around or in a grain bin or storage. Never trust any hydraulically-raised equipment, such as front-end loaders, dump trailers, etc. Be aware of steep hillsides when harvesting any crop on the farm. Never step-over a running PTO shaft. Be sure all PTO shields and other safety shields are in good repair and properly secured on all farm equipment. When work has to be performed on a farm implement, be sure that the PTO has been shut off and that all machine movement has ceased. Always wait for a hot engine to cool before attempting to re-fuel a tractor. Never start a tractor in a closed garage or shed. The carbon monoxide (CO) threat can cause a human and/or animal fatality. Keep well-ventilated. Be sure to match farm equipment/implements to a tractor that is compatible to that equipment/implement. Consumers across the globe rely on a small number of dedicated farmers to keep the word fed. Food producers can stay safe by making good decisions when working with their farm machines and livestock. We suggest a large dose of respect for the potential of a farm accident, and continuous vigilance for the many and diverse farm safety challenges. Remember, farm safety is no accident. Next articleLooking ahead: Will 2017 bring a new market?